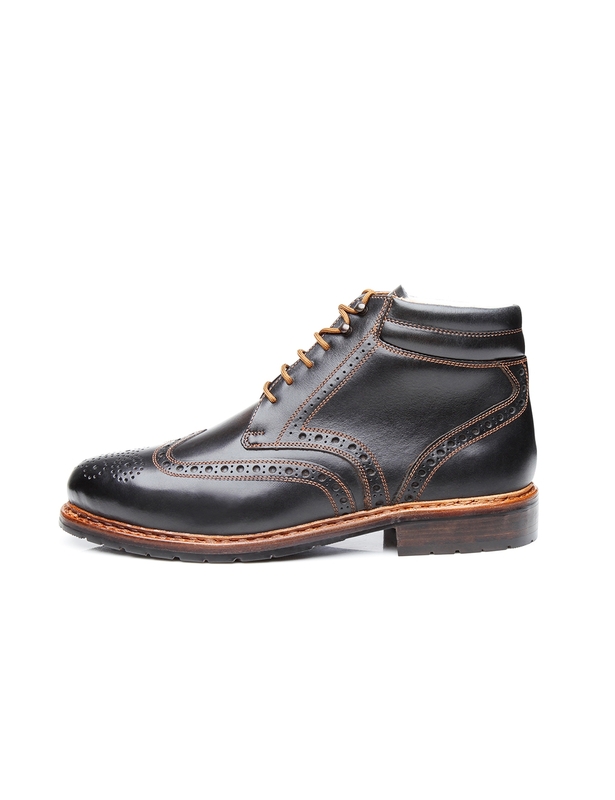 Premium Swiss Calf & Lambskin Lining Oiled, waterproofed, aniline-dyed calfskin that is very durable and water-repellent. 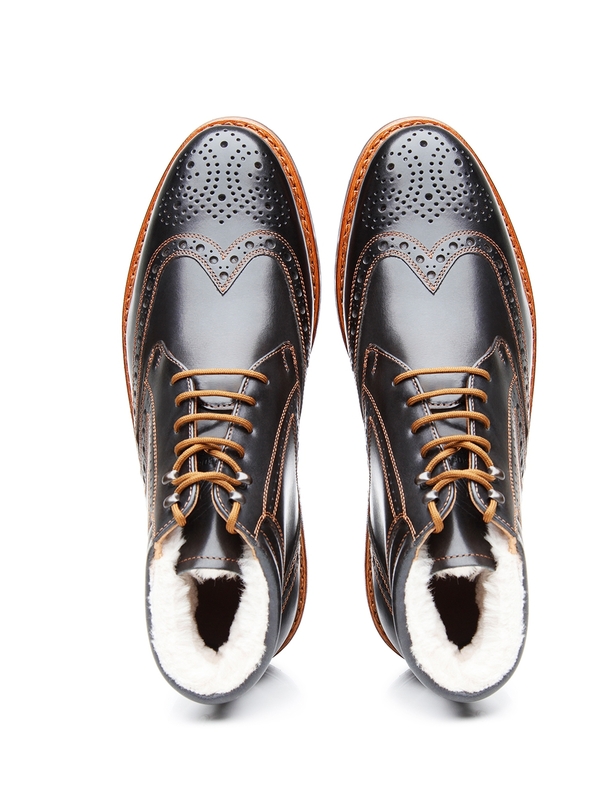 Lined with warm lambskin along the inside. 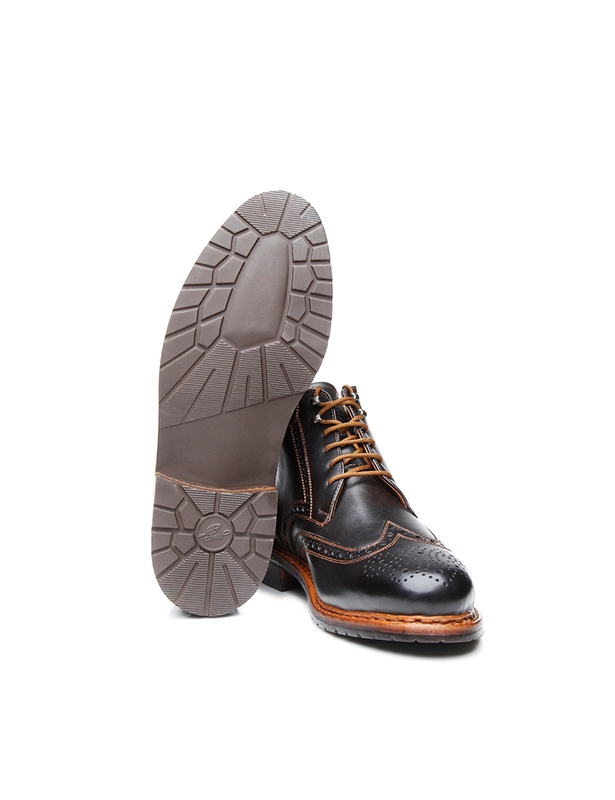 Double Sole featuring Rubber Lug Tread The flexible leather midsole is reinforced by a water-repellent outsole with a rubber lug tread. 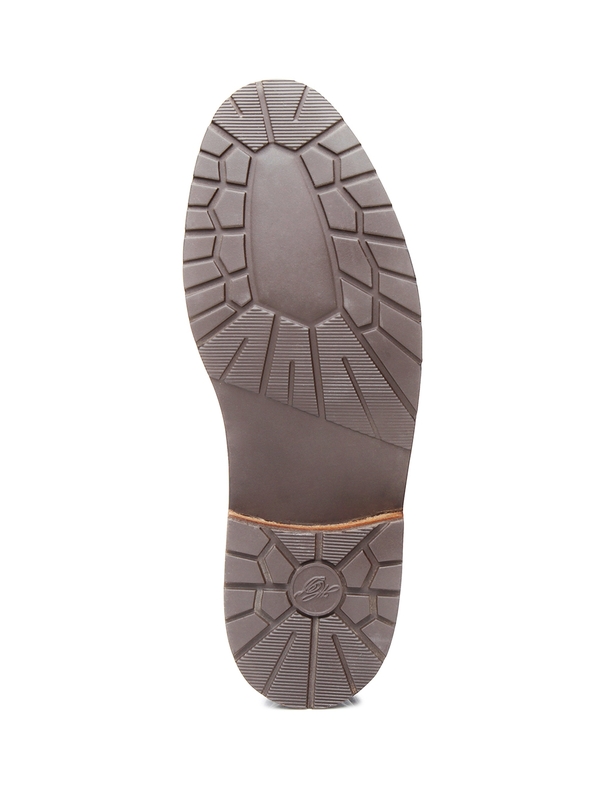 This double sole ensures comfort and durability — ideal for cold, wet conditions. 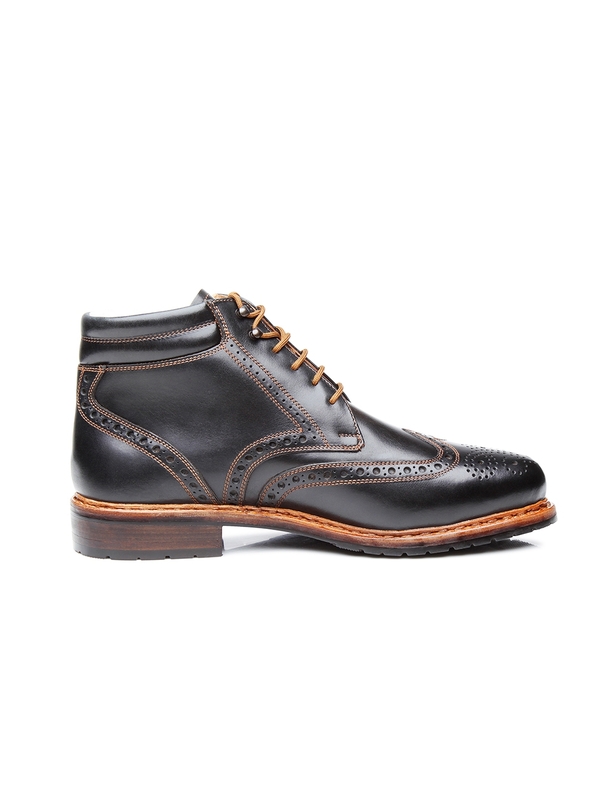 The shaft of this men’s double-stitched, lace-up boot is made from supple Swiss calf. 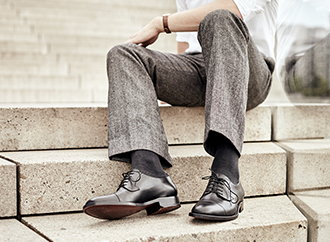 This aniline-dyed calfskin boasts an elegant look, and is also extremely durable and water-resistant. 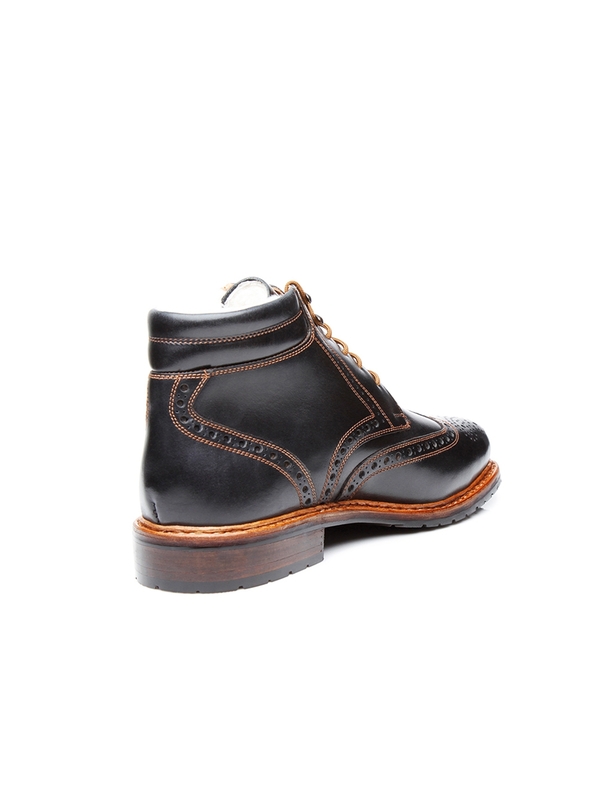 The boot is lined with warming lambskin lining that will keep you feeling toasty, even in the coldest weather. 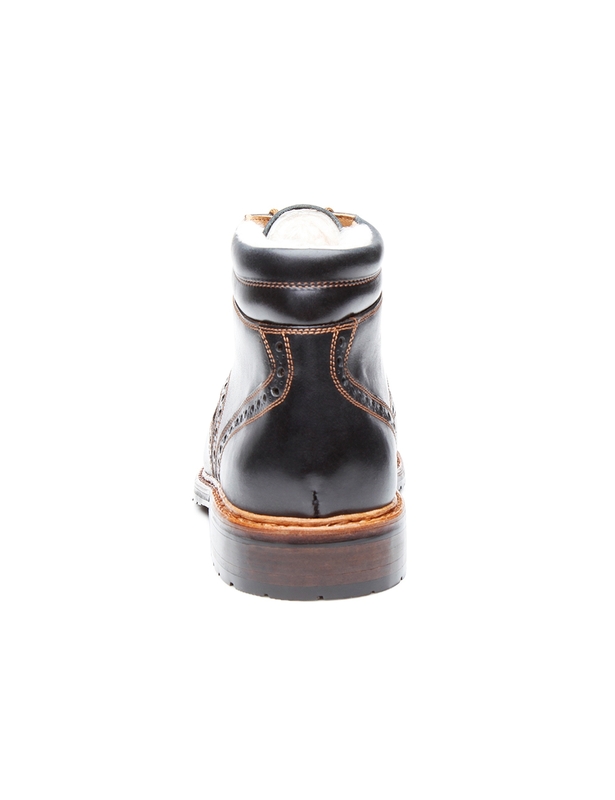 Meanwhile, a fine leather midsole and attached rubber outsole keep you standing firm on slippery surfaces. 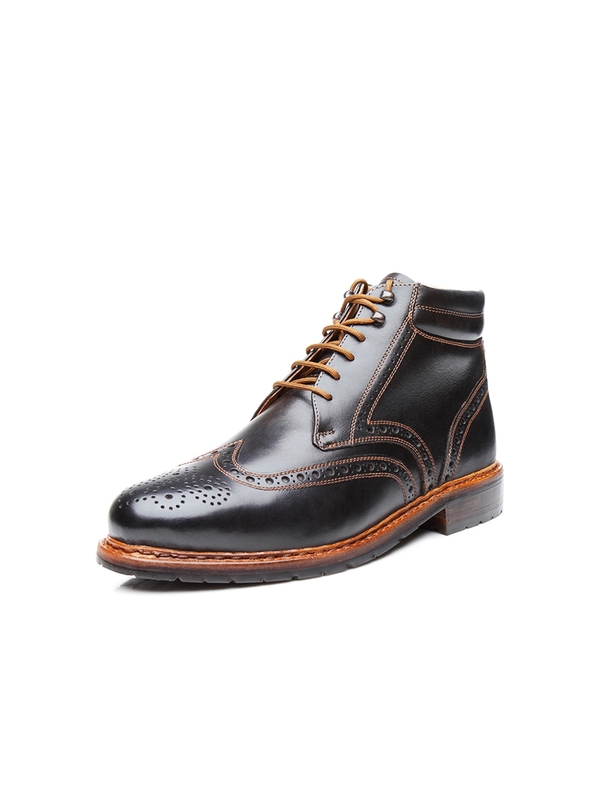 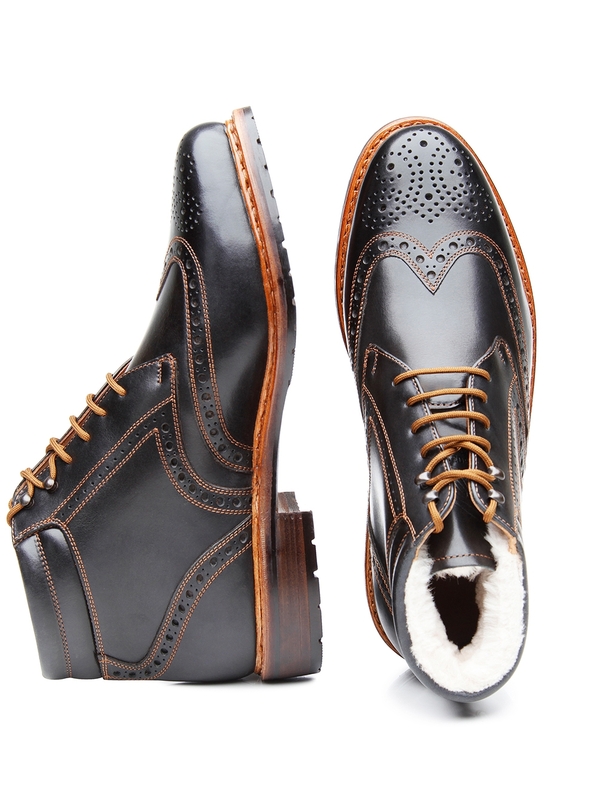 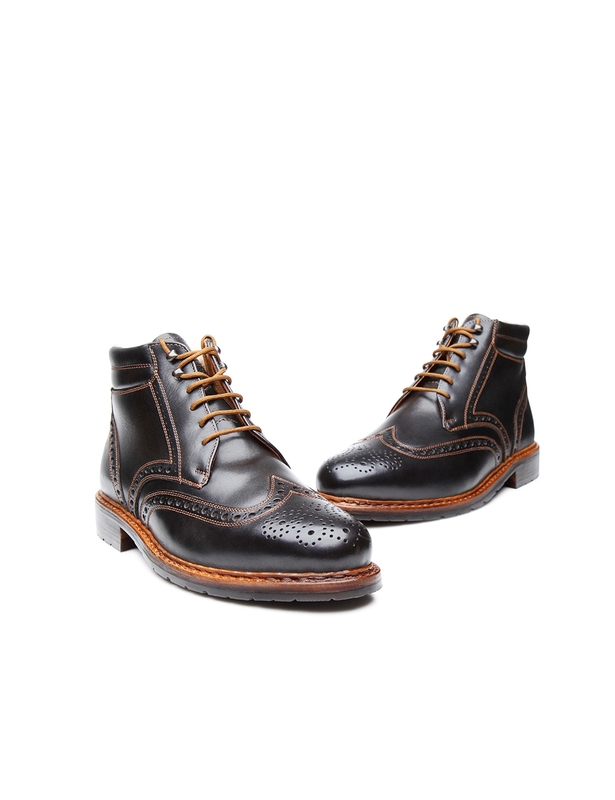 All in all, this full-brogue boot is a stylish, functional choice for the fall and winter months. 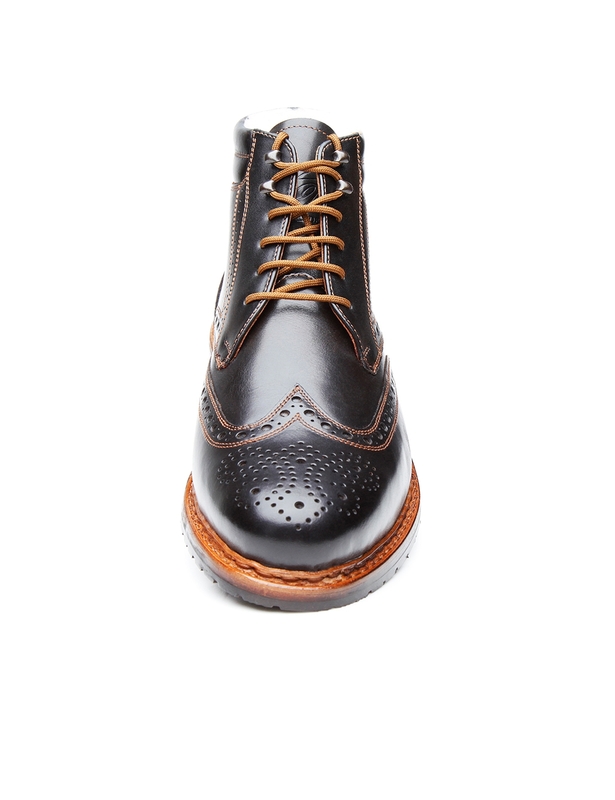 Richly detailed perforation along the shaft of this luxurious men’s boot impressively attests to the high level of craftsmanship that goes into every Heinrich Dinkelacker leather shoe. 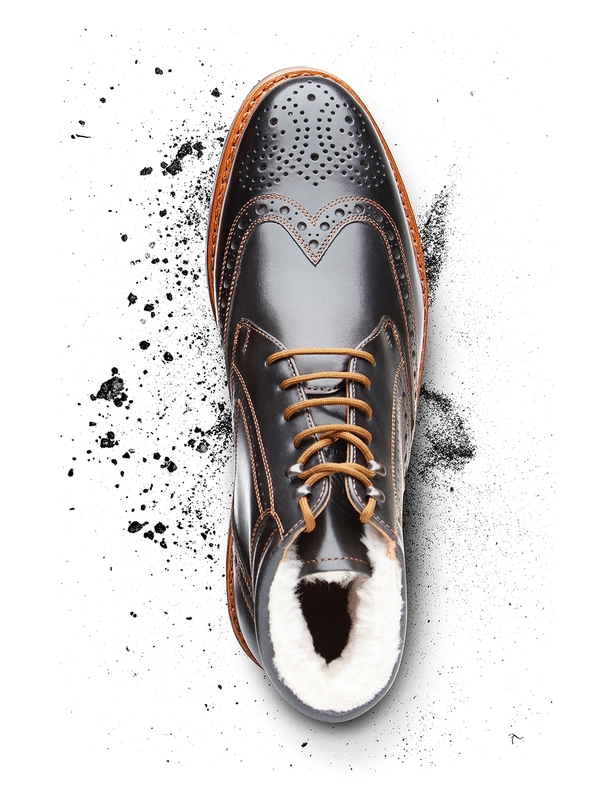 It takes 300 meticulous work steps to make each of these masterful boots in Budapest — a true pinnacle of the art of cobbling.